Another day, another data breach. It can feel that way, and the chart below shows exactly how the last few years have seen a surge in hacking attacks targeting sensitive information. 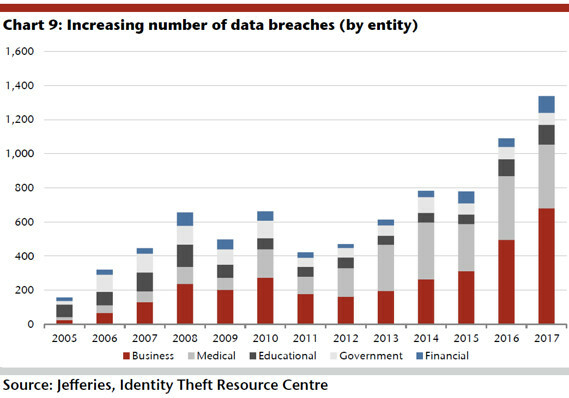 The number of significant breaches at U.S. businesses, government agencies, and other organizations topped 1,300 last year, versus fewer than 200 in 2005, according to the Identity Theft Resource Center, a U.S. nonprofit. Jefferies analysts used the center’s figures to create the handy chart, and they put the graphic in a January note to clients. “It is the opinion of the ITRC that the criminal population is stealing more data from companies, AND data breaches are being more frequently publicized,” the nonprofit says on its website, with more companies revealing breaches due to laws or public pressure. But it’s also hard to determine whether there are more security breaches now than ever before, according to the ITRC. 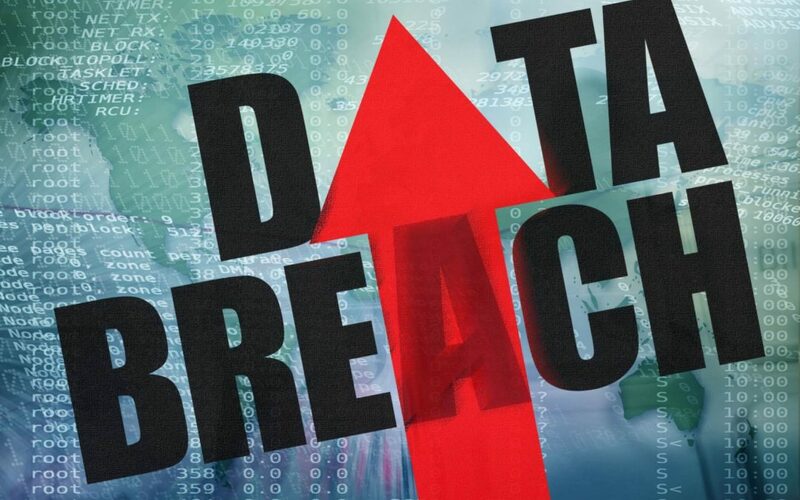 Credit-reporting company Equifax , retail giant Target , internet pioneer Yahoo, online storage provider Dropbox, the Democratic National Committee and many other enterprises have been among those hit by data breaches. The affected companies have seen their stocks get whacked. But what else could it mean for investors? British insurer Beazley’s stock looks set for an ongoing lift as organizations around the globe try to guard against data breaches and related threats, according to the Jefferies note. The company — known for its Beazley Breach Response product that’s sold to small- and medium-sized U.S. businesses — has a growing cyber business that insures companies in the event of attacks. Is there any end in sight for data breaches? There is a little evidence that some hackers now have their eye on bitcoin, rather than on personal information. The skyrocketing value of cryptocurrencies is prompting hackers to shift their focus from stealing data to absconding with computing power, cybersecurity firm RedLock said in late February. Tesla’s cloud-computing environment was recently infiltrated by hackers who then used it to perform crypto mining.